METRO DETROIT BARBER COLLEGE is a state of the art school for training men and women in the art of barbering. The Metro Detroit Barber College mission statement is to train students to become professional, licensed barbers in compliance with the rules and regulations of the State of Michigan. 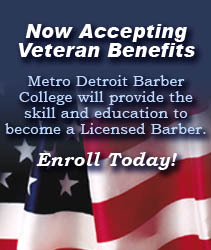 Metro Detroit Barber College program is Barbering. We have Day and Evening classes available. Program lengths vary from 11 to 22 months completing 1800 clock hours (effective date of hour change is 5/27/14). The program is designed to give the student a strong foundation of history, theory, and the business of the profession while gaining the practical proficiencies and skill necessary for a career of leadership in the barbering industry. Metro Detroit Barber College holds to our philosophy of professionalism and service to others while allowing each student to realize their full earning and production potential. We seek to provide the barbering industry with graduates who are an asset to the college, their employer and the barbering profession. We at Metro Detroit Barber College strive to prepare our students to become skilled barbers who are capable of meeting the demands of the public. 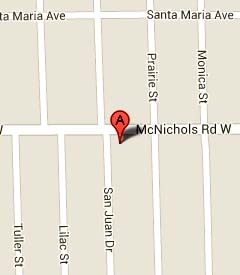 Metro Detroit Barber College is located at 7443 West McNichols, Detroit, Michigan 48221. This area is divided into a junior department, advanced department, classroom, restrooms, patron's waiting room and office. We have adequate equipment for each and every student accepted for enrollment. Parking space is provided for our students during their school day. 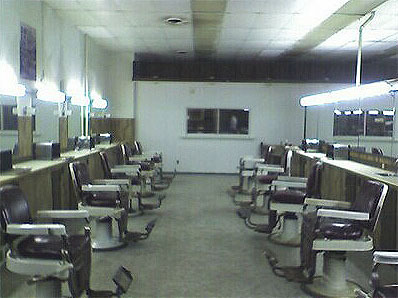 Metro Detroit Barber College opened in 2009, located at 7443 W. McNichols, Detroit, Michigan. It is a high performing school that has developed a curriculum to meet the needs of a diverse student population. The college focuses on preparing students for the future while maintaining a safe learning environment. The word "barber" comes from the Latin word "barba," meaning beard. The barber's art of shaving beards and cutting hair is an ancient tradition. Razor blades have been found among the relics of the Bronze Age. Barbering began with primitive men who believed that good and bad spirits entered individuals through the hair. The spirits inhabited the body, and that the only way to drive the bad ones out was by cutting one's hair. The earliest records show that barbers were the medicine men and the priests of the tribe. In many tribes, the barber was the most important man in the village. Throughout history hair has been very important socially and religiously, since many ancient superstitions revolved around it.